DESCRIPTION Welcome to this amazing home the the NE community of cornerstone built by Morrison Homes. 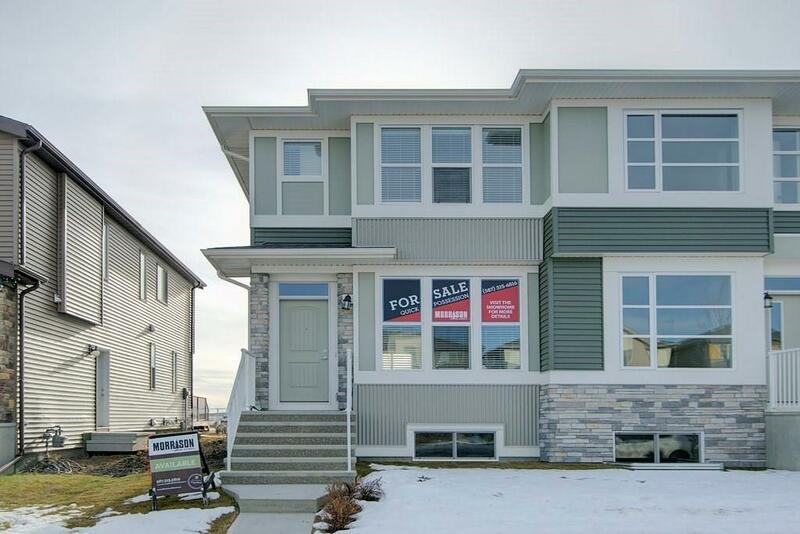 walk in the front door and you are greeted by a tiled foyer and the open concept living area and rear kitchen and dining area. the gourmet kitchen features stunning dark cabinetry, stainless steel appliances including Gas Range and Quartz counter-tops. heading upstairs you will find 2 spare bedrooms, full bathroom, laundry and a master suite. the master is highlighted by a 4 piece en-suite bathroom and walk in closet. the exterior is completed with sod in the front yard and side entrance for future development of you unfinished basement. this is truly a must see property. call today to view. Home for sale at 151 Cornerstone AV Ne Calgary, Alberts T3N 1G7. Description: The home at 151 Cornerstone AV Ne Calgary, Alberta T3N 1G7 with the MLS® Number C4218907 is currently listed at $370,000.